In the middle of October 2010, Phase I of the 108th Autumn Canton Fair which enjoys the reputation of “Wind Vane for the Foreign Trade Industry” was held in Guangzhou. For ODMs, the Canton Fair is not only a platform for business development and customer attraction, but also an important approach for improving brand influence and enhancing brand effect. 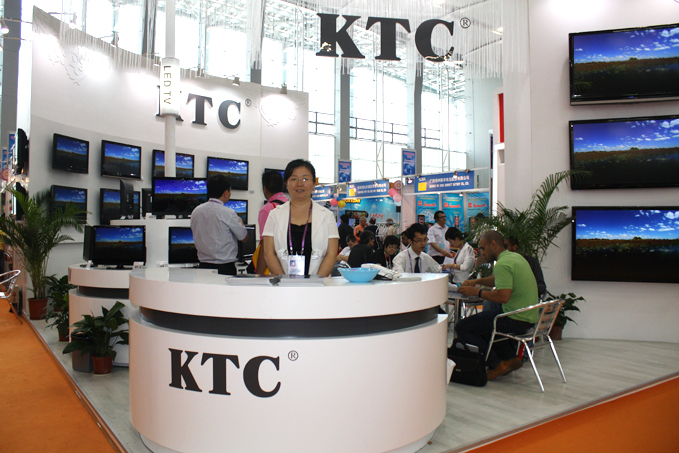 Therefore, our company attached much importance to the Fair and dispatched our outstanding sales team together with our competitive products; the unique styles of KTC attracted numerous customers at home and abroad. Booth decoration still used the constant style of our company which was fashionable, elegant, simple and artistic. It became the first highlight of the booth of our company, receiving positive comments from the visitors. 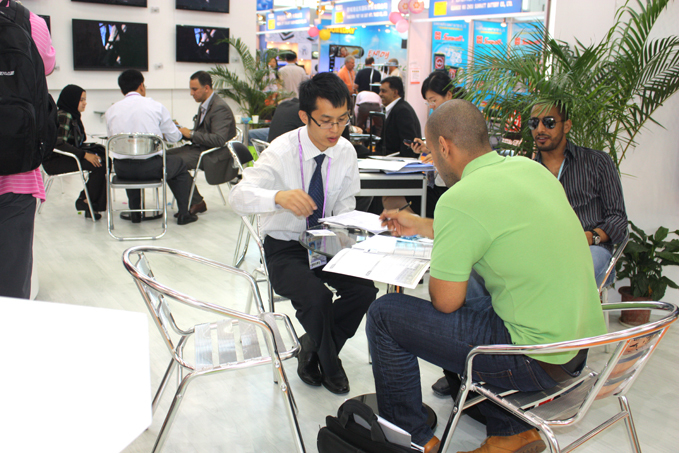 Meanwhile, compared with last fair, our company had several new highlights at this Canton Fair. First, TVs exhibited were all genuine ones. 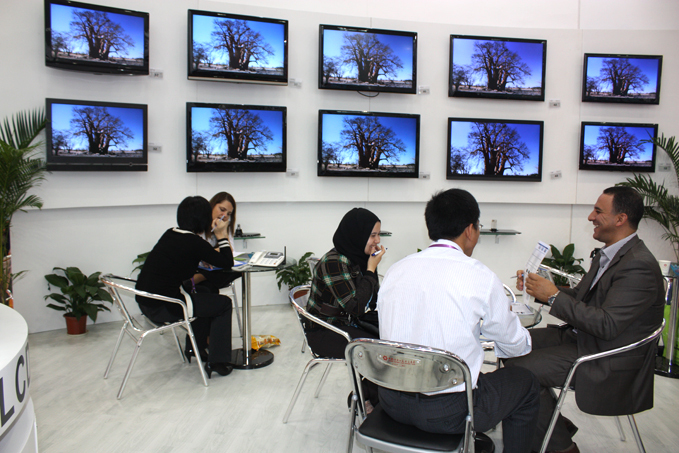 Second, IPTV made its debut at the fair. Third, three bases were placed at the fair, which were well combined with the TVs, convenient and practical. Apart from the new highlights above, the products of our company also received compliments from many customers for their novel designs, abundant series, good-looking styles and high quality. These excellences contributed to the high popularity of our company at the fair. Many domestic and overseas customers of our company exhibited products supplied by us at their own booths, which strongly affirmed the achievement of our company. During the period of the Fair, our company received more than 600 new and existing customers; customers also came to visit our factory one after another. Because there were too many customers at the exhibition site, the five desks there were not enough to receive customers. Some customers even stood and talked with us for more than one hour; some were even unwilling to leave at closing time because they still had many questions to ask the business representatives of our company. The business representatives participating in the fair all performed actively. As there were too many customers, they insisted on explaining in detail even when their voice became hoarse. Their professional dedication deeply touched the customers. From this fair, it can be seen that our company has gained a good reputation in the industry based on its accumulation in technology and market over many years. It fully reflects the truth that “one will be admired sooner or later if he keeps his feet on the ground”. With the recent recovery of global economy, the TV business of our company develops at full speed, and the number of TV customers increases rapidly. However, we should realize that the entire TV industry is also under fast development. 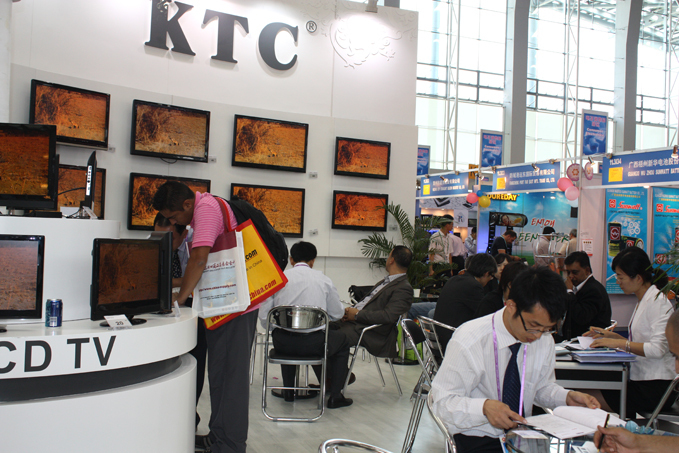 From the feedback information of customers at the fair, we get to know that the upgrade of products has an unimaginable speed; developed countries in Europe and America have stopped the plan of procurement of LCD TVs and will mainly promote LED TVs. Before LCD TVs are really popularized, they will have been replaced by LED TVs. It is estimated that LCD TVs will be completely replaced by LED TVs next year. Therefore, our company should catch up with this trend in terms of LED development. In the era of competition, time is essential to the obtainment of market and efficiency. Thus, we must be vigilant in peacetime and make more efforts to carry out research and development, so as to provide products which are more attractive to customers in both appearance and price at the highest speed while guaranteeing excellent quality. Based on the advantages brought by economic recovery, we should exert ourselves to boost faster and better development of the company.